Mass spectrometry began as a tool for structural elucidation (more so, confirmation) by physicists back in the 1980s. It has now metamorphosed into an indispensable tool for the biology community. 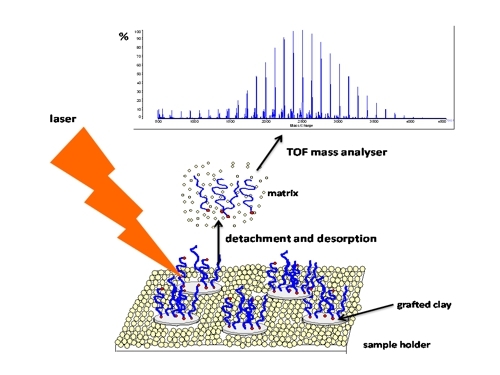 The technique has now been combined with a variety of other applications such as GC-MS wherein substances separated by Gas Chromatography are analyzed by the mass spec analyzer. Among these, LC-MS and MALDI-TOF find popular uses in protein identification and quantification. 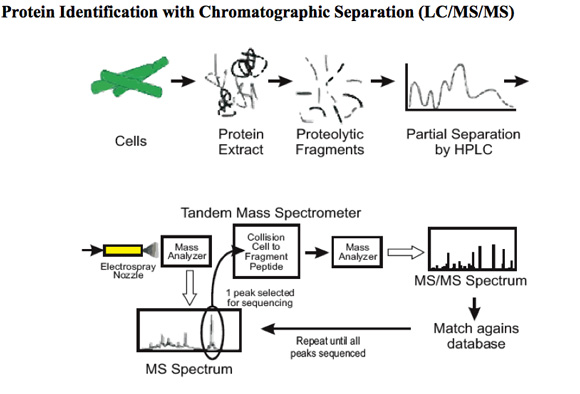 In LC-MS, proteins are subjected to digestion and the fragments are separated by HPLC and then directly analyzed within tandem mass spectrometers associated with the HPLC column generating multiple mass spectra for each fragmented peptide. These spectra are then analyzed using a database to identify the protein in the sample. Usually recommended when you are studying an organism with small genome size. It is faster and convenient. The result can be obtained in minutes. Requires very low sample amounts. High sensitivity. Requires pure samples. Any contamination can hamper the quality of results. Since a mass spectrum is generated for all peptides, analysis of complex mixtures is often not reliable. For database search, extremely high homology is required. Useful for analysis of a complex mixture of proteins. Yields high confidence identification results due to sequence dependence of data obtained from tandem mass spectrometry. Used for analysis of modifications such as phosphorylation, acetylation etc. You can now weigh the pros and cons of both the techniques and identify the ones most suitable to you. 1. Inc, BioSynthesis. Tech Lounge: FAQ. 1964. 8 July 2015 <http://www.biosyn.com/faq/what-method-use-for-protein-identification.aspx>. 2. Inc., ProtTech. "ProtTech Inc." 2003-2011. http://www.prottech.com/. 8 July 2015 <http://www.prottech.com/Technology/id_2_1.pdf>. 3. Medicine, Yale School of. Proteomics: Protein Identification. 2014. 8 July 2015 <https://medicine.yale.edu/keck/proteomics/technologies/proteinidentification/identification.aspx>. 4. Shaw, Gina. John Wiley & Sons Inc, Spectroscopy NOW. 2015. 8 July 2015 <http://www.spectroscopynow.com/ms/details/education/sepspec22395education/Bringing-Mass-Spec-to-the-Masses---From-niche-tool-to-necessity-the-history-of-M.html>.